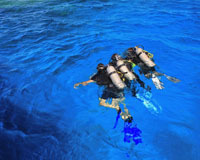 The Open Water course consists of four dives in which you will repeat the skills you practiced in the pool. Beofre each dive, your instructor will brief you about the training exercises and the dive site. 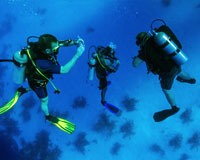 During each dive, you will spend at least 20 minutes underwater and you will perform few exercises. After each dive, you will log your dive. 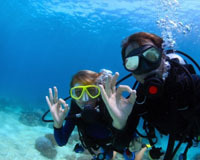 The objective of this course is to ensure that the students mastered the open water skills for safe diving. 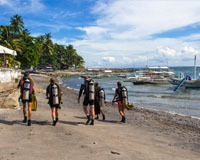 The student should have completed at least pool modules 1, 2, and 3 before the first two open water dives and module 4 and 5 before the last two open water dives.